If you want to grow sticky, high-potency buds, your cannabis will demand attention to its many needs. 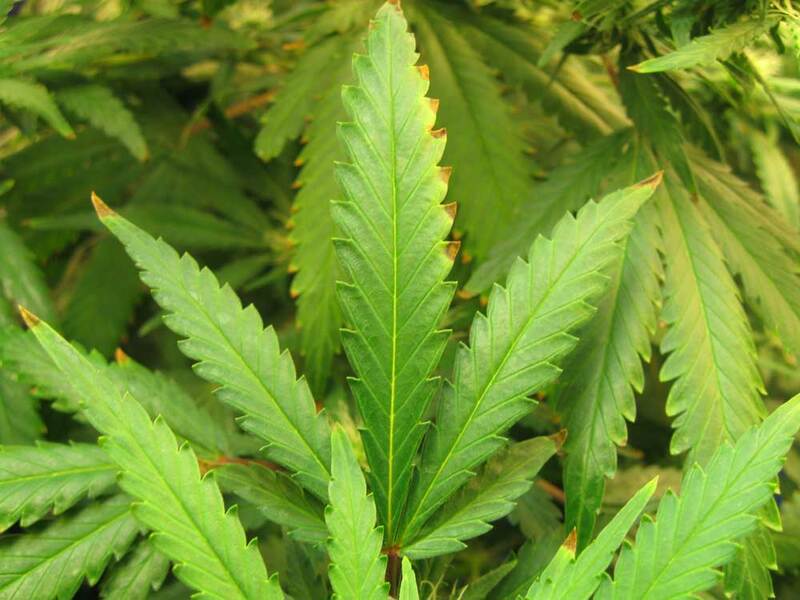 One need of the growing cannabis plant – that is commonly overlooked – is humidity. Believe it or not, humidity is actually very important to your plant! Humidity will help determine your plants resilience against mold/mildew in addition to how much your plants need to drink. Getting it just right can improve plant growth and increase your yields. Luckily, there isn’t much to learn, so you can be the master of humidity in your grow with very little effort! Today we will give you the information you need to have complete mastery over humidity and thus, give your plants a boost in production. In all stages of cannabis growth your plants will have a constant need to intake water, and the amount of water they need fluctuates with the humidity in your grow room. When the humidity is high, cannabis plants use their leaves to absorb moisture from the air which causes them to drink less water from their roots. Conversely, when the humidity is low, they will pull more water in through their roots. Since humidity changes how much water your plants drink, and the water you give your plants have nutrients in them, being in control of humidity gives you increased control over your plant’s nutrient intake. But controlling humidity isn’t just about prevention…having the right humidity encourages strong, healthy, leafy plants with vigorous growth. In fact, growing with DWC (Deep Water Culture) / Bubbleponics during vegetation with the correct humidity can actually turn into a struggle to tame out-of-control plant growth! Additionally, after your plants start making buds in the flowering stage and get close to harvest, you can manipulate the humidity of your grow area to get your plants to produce more resin (trichomes/glitter which contain THC and other cannabinoids) while preventing plants from being attacked by mold. High humidity can sometimes cause mold or bud rot – a grower’s worst nightmare for those fat, dense main colas. We’re not out to scare you, but you should know what happens to a grow room with poor humidity management. We know how important humidity is because we’ve experienced every one of these problems firsthand! White Powdery Mildew is a fungal disease that will shows up high humidity environments. This can be tricky since young cannabis plants flourish in humid environments. Luckily, you can stave off WPM by making sure there is proper airflow in your grow area; a small oscillating fan – even on the low setting – works wonders. Bud rot or mold is – in my opinion – one of the worst pains a grower can experience as a result of poor humidity management. Imagine harvesting a huge, dense main cola from your plant only to see the insides are totally white or brown with mold. Buds in this condition are unusable and 100% should be thrown away. Humidity is a factor that partly determines how much your plants will drink. If the air is dry, your plants will tend to drink more at their roots. If they’re already drinking more due to high temperatures, low humidity can cause them to drink a lot of water through their roots and uptake too-high levels of nutrients. 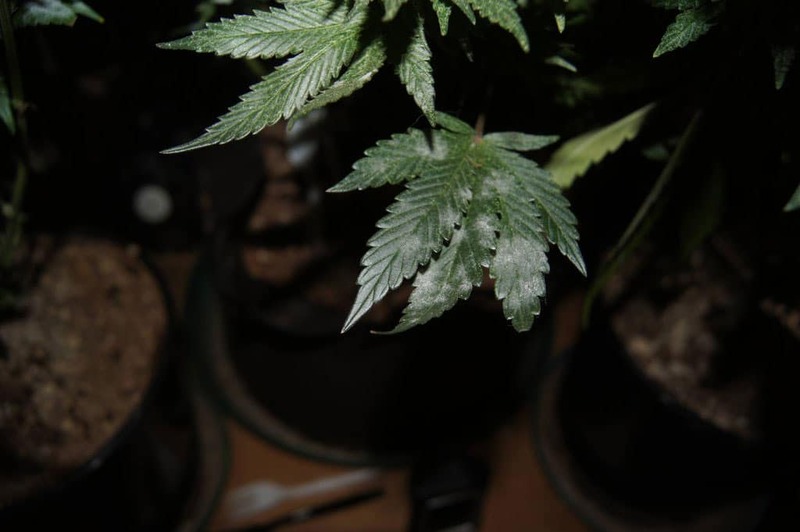 If your plant takes in more nutrients than the plant can use, the leaves will begin to show yellow or burnt tips, which is the result of nutrient burn. Sometimes too-low humidity can cause other apparent nutrient problems. Cannabis plants love higher humidity when they’re young, and lower humidity when they’re mature. To be frank, if they’re not getting these conditions, they may not be growing nearly as fast or healthy as they could. Humidity is actually a measure of how much water vapor is being “held” in the air. There are different ways to measure humidity, including “absolute,” “specific,” or “relative” humidity. Most growers are talking about Relative Humidity or RH when they talk about humidity in the grow room. Relative humidity measures how much water is in their air compared to the maximum amount of water that can be held in the air at that temperature. 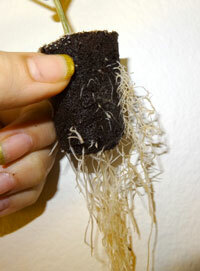 Clones need time to develop a root system to intake water. Young clones are solely dependent on getting water through their leaves from the air and this is only possible with high humidity. Maintaining high levels of humidity will dramatically increase the chances of clones rooting successfully, and will increase young clone growth. This is why many growers use a humidity dome for new clones! Seedlings and young cannabis plants in the vegetative stage grow a lot of leaf mass in a great growing environment, and plants can sometimes grow foliage at a faster pace than the roots. But the roots aren’t the only way your plant gets water. Leaves can actually pull water vapor directly out of the air, and higher humidity in the air allows the leaves to get more water to the plant if needed. Until your plant has fully developed roots, low levels of humidity in the air can cause growth to be slower. The ideas is to create a comfortably warm environment that mimics springtime or summer. Don’t give seedlings a humidity dome unless it’s very dry where you live. They need springtime conditions, but it can be easy to go overboard with seedlings (compared to clones which love high humidity). If the RH drops below 25%, the dry air tends to limit growth and cause nutrient problems to appear on leaves, especially for young seedlings. Some seedlings are fine, but other plants are particularly sensitive to humidity. Ideally, the relative humidity of your grow room should be lowered to around 40-50% at the beginning of the flowering stage. As plants approach harvest, some growers lower humidity down below 40% or even less to force cannabis buds to produce more resin, though I’ve seen that can majorly stress some plants, so that technique should be used with caution. Definitely lower the humidity just a little at a time to see how plants react before putting your plants in an extreme environment. 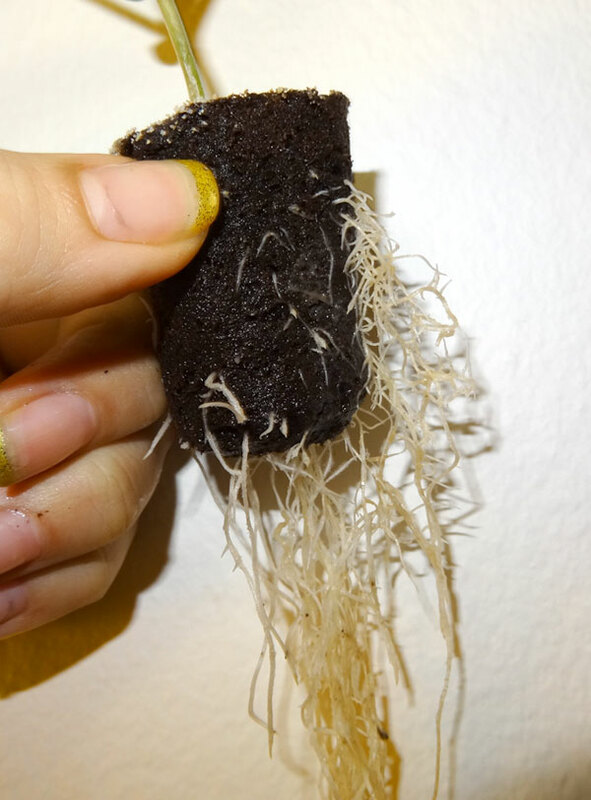 By the beginning of the flowering stage, your cannabis plants have created a large root system to fulfill their water needs. They will still be able to take in water through their leaves, but maintaining a relatively lower humidity than the vegetative stage helps prevent molds or mildews from forming. Mold is especially dangerous in the flowering stage because it can form on or inside your buds or colas without you knowing. 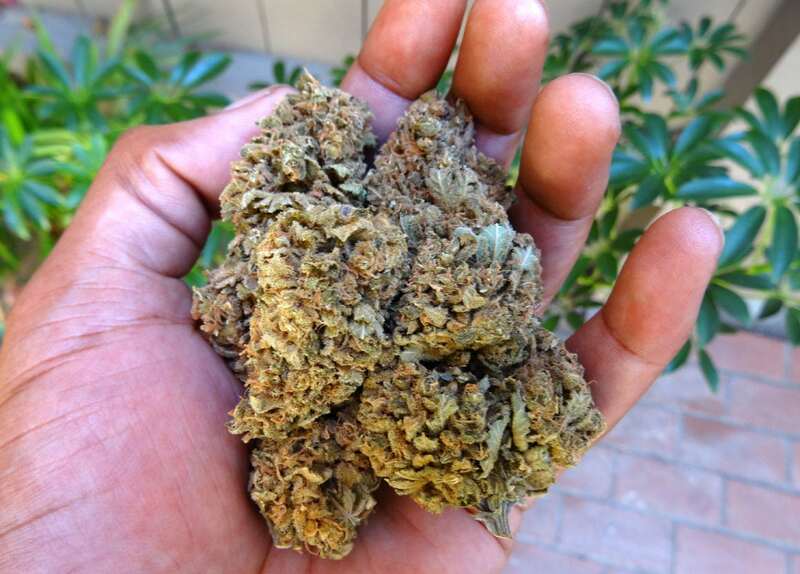 If you find that you have mold growing in any of your buds, or buds are rotting from the inside, you should immediately throw all of the contaminated buds away. 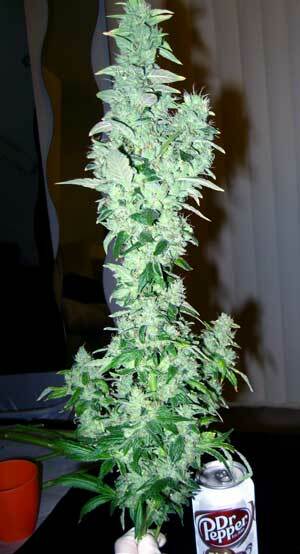 Bud rot can ruin entire harvests, so if one bud is infected thoroughly search your grow room for more. If you can’t lower the humidity and already have a rampant mold problem, the best choice might be to cut your losses and harvest immediately to avoid any other buds getting bud rot. Even if the humidity is low, it is still important to have air moving over and around your plants. Small fans blowing over and under the plant canopy will help keep air moving so that wet spots don’t form around any parts of the plant. During the last 2-3 weeks before harvest, some growers will use a dehumidifier to drop the humidity of their grow area to between 40-45%. This not only prevents bud rot during the last few weeks, the lower humidity may stress the plant in just the right way to increase resin production. 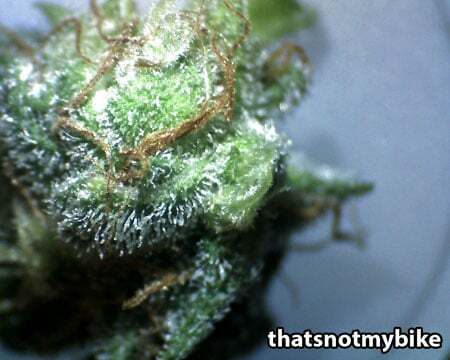 As a result, you harvest extra-potent buds with more sparkly trichomes. While this technique has not yet been proven to increase resin, many growers swear by it. Just be aware that lowering the humidity too much can cause stress to some plants (other strains react well). Keeping the humidity around the 50% range will allow your buds to dry, but keep them from drying too quickly. This range is also optimal for preventing mold, so it doesn’t get any better for drying if you’re a beginner! As an advanced drying and curing technique, some growers like to keep the humidity a little higher so buds dry slower (which could possibly increase the quality of your cured buds). Drying with high humidity is considered an advanced technique because drying must be done with extra care to prevent mold forming on your harvested buds! It’s good to have air circulation in the drying area, but it’s recommended that no air is being blown directly over the buds to prevent them from drying too quickly. More information in the link below! Temperature and relative humidity are closely related to each other. Relative humidity is measuring how much water is “being held” in the air compared to the maximum amount of water that can be held at that temperature. Warm air can “hold onto” more water than cool air. Plants will tend to thrive at different relative humidities depending on the temperature of the air. Once the air becomes too saturated with water, it will tend to form dew or films of water over leaves, which leads to mold. For those interested in learning more about the science behind this, there is a term used by greenhouse growers known at VPD, or Vapour Pressure Deficit, that roughly measures the temperature and relative humidity. 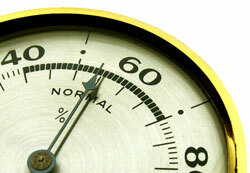 When growing plants, temperature is just as important as the Relative Humidity (RH) of the air, if not even more so! You need to control both temperature and RH at the same time to get the best results when growing cannabis. If the air is too hot and dry (high VPD), plants will tend to have stretched growth. If the air is too cool and humid (low VPD), plants are more prone to problems with mold or fungus. Cannabis likes a comfortable room temperature, or a little warmer – not too dry, not too humid. For most growers, that is all you need to worry about. 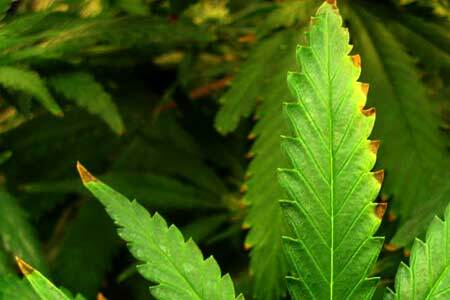 Generally, cannabis plants prefer temperatures in the 70-80 °F (21-27 °C) range during the day when lights are on. When lights are off (or at night), cannabis plants are happy with slightly cooler temps. What if it gets too cold? Colder temps will tend to slow down growth. Temps lower than 60°F (15°C) can upset plant growth and freezing temperatures will shock or even kill a cannabis plant. Can cannabis stand higher temps? What if my grow room is too hot? Please note that too-high temps in the flowering stage will not only slow down bud growth and cause fluffier buds, but it will also tend to reduce the potency of your buds by causing some terpenes and cannabinoids to burn off. Keeping the grow room temperature under control is important in the flowering stage! With bright grow lights (such as 600W HPS and larger), cannabis plants can thrive at temps up to 85°F (30°C) even with no CO2 enrichment, as long as there is low relative humidity and plenty of air movement. Cannabis plants can thrive at higher temperatures, up to an ultimate max of about 95°F (35°C), in an environment with low humidity, extremely bright grow lights and enriched CO2 (above 1500 PPM) – this is not your average grow! I like the Ambient Weather WS-07 Wireless Thermo-Hygrometer because it lets you remotely check the temperature and humidity from another room (don’t forget to get 6 AAA batteries). Ideal temps are 70-80 °F (21-27 °C) during the day (lights on) and 5-10 degrees cooler at night (lights off). 40-60% RH (if you see wet spots forming on the leaves, humidity is too high or you need to increase air circulation). 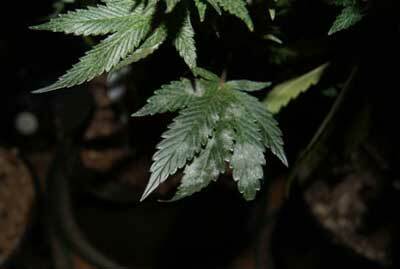 Beware of white powdery mold in humid grow spaces! Many indoor growers tend to deal with too much heat and high temperatures – this is because grow lights can get very hot, and cannabis grows are often confined to very tight spaces due to stealth or privacy concerns. The relative humidity of your grow area depends mostly on where you live, and how you’ve chosen to construct your grow area. Many growers struggle with lowering their humidity, because the mass of leaves and vegetation in a small grow area tends to cause the humidity to go up. Here’s how you can correct common cannabis problems with heat and/or humidity. 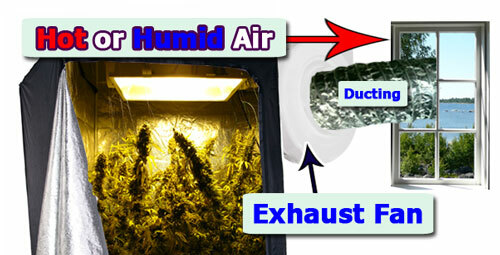 Dehumidifier – will pull moisture from the air in a small area like a grow room or tent – a good one can be hooked directly to a drain for very humid areas like the UK and other humid parts of the world, otherwise dehumidifiers will automatically shut off when full and you will have to manually remove the water that it collects from the air. Increase ventilation (add a more powerful exhaust fan or otherwise improve your exhaust system) – this increases the total amount of airflow in the grow area. This strategy will only work to lower humidity if the intake air has a lower RH than the air in the grow room. Advanced: If you do get a high-powered exhaust fan to lower humidity, you may want to consider getting atmospheric controller with a humidity setting to automatically adjust the fan speed to achieve the humidity you want. 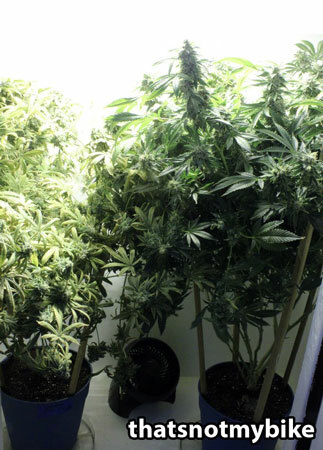 Consider slight defoliation – very leafy plants will tend to raise the humidity of the grow room, especially when there isn’t good ventilation or air flow. Humidifier – will add additional moisture to the air, I like the evaporative type of humidifier because it also works to cool down temps slightly. Make sure you get a humidifier with a large holding tank (holds at least 6 gallons of water at a time). Those “one-room” humdifiers with a 1.5 gallon tank often need to be refilled several times a day. This humidifier is an evaporative swamp cooler that holds 7 gallons of water at a time – great for hot, dry climates. Swamp cooler – will cool down air while increasing the relative humidity; works best when humidity is too low and temperature is too high. Read how one user used a swamp cooler to control his humidity. Monitor temperature & humidity in your grow room! Monitor temperature & humidity even while you’re away! Here’s a really simple solution that lets you check your temperature and humidity of your grow room in real-time, even if you’re not at home! Put the “outdoor” module in your grow tent or box. You could also put the “indoor” display near your desk for easy viewing, and then point a webcam at the display. Install TeamViewer (it’s free for personal use) or you can also use Windows Remote Assistance (not as user friendly in the beginning, but a good choice). You can now log into your computer from any other computer, open the program for the webcam, and see what your grow room stats are in real-time. Thanks to Tokiehardo for this awesome tip! I’m preparing things for my first grow and trying to make sure that I plan everything ‘right’ and I’m not surprised by too many things, and hopefully none too late to fix. Humidity has me confused. I’ve seen sources saying the greater the humidity the better, some that say humidity makes no difference as long as the plant is hydrated, and some claiming nothing will grow if you’re not nailed at 45%. The ambient humidity near Denver is pretty low – the room I plan to grow in sits at 20% on average. Is this too low for my plants to be happy? It moistens the air while keeping the temperature down, which can also be a problem in Denver. Update from the grower: For anyone stumbling onto this in the future, the swamp cooler in the link above is friggin awesome. I have it connected to my intake ducting and it’s keeping the cabinet at 73F with 80F outside temps! I cannot downplay how great it works, but I recommend creating a way bigger reservoir, so you don’t have to refill it every 6-8 hours.